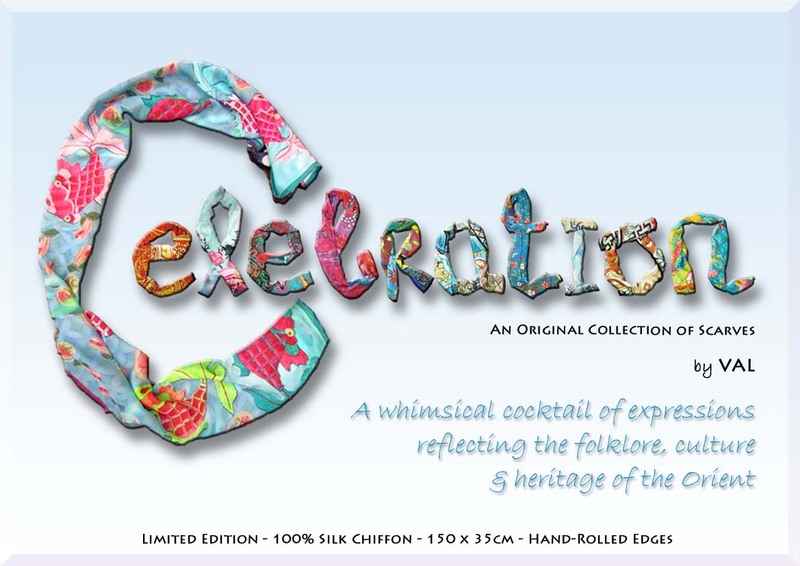 A series of original, limited edition scarves, designed with passionate attention to aesthetic details – has just been launched by VAL, and it so happens, she is our daughter. 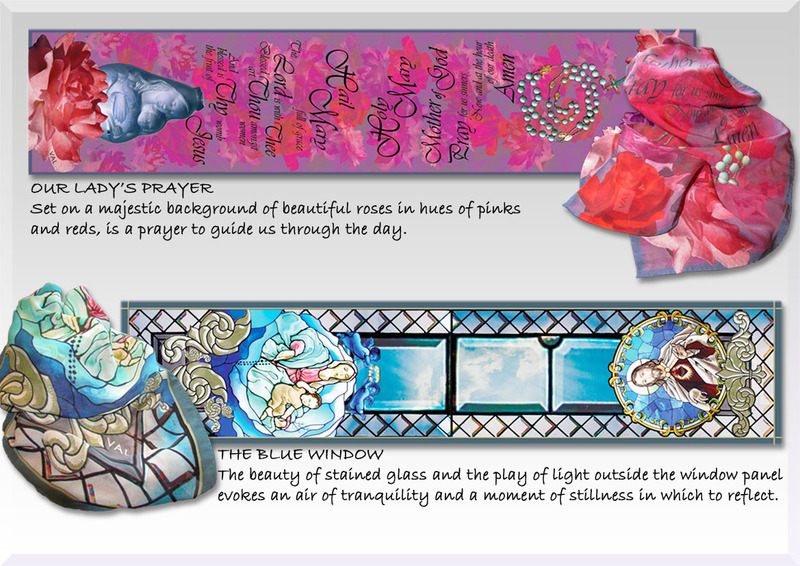 Her collection of 11 silk chiffon scarves, entitled CELEBRATION, includes two designs which are especially close to our hearts, and are based on: (1) The Blue Window which captures the tranquility of church stained glass works of Jesus and Our Lady, with light shining in through the window panels, while the other (2) Our Lady’s Prayer, is all about Our Lady with the Hail Mary prayer and a rosary as part of the design. Please CLICK HERE to go into her blog.